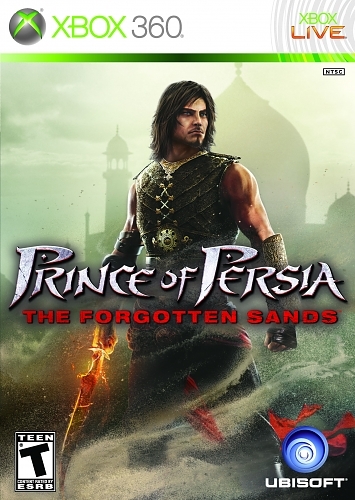 Returning to the storyline established by Prince of Persia: The Sands of Time, this game takes place between Prince of Persia: The Sands of Time and Prince of Persia: Warrior Within. In The Forgotten Sands, the Prince is making his way to his older brother Malik’s kingdom to learn about leadership. Upon arrival he learns that the kingdom is under attack by an army assumed to want the many treasures buried within the palace. The Prince soon learns that the army is after something way more serious: the power to control Solomon’s army. Anyone who gains the power to control Solomon’s army will become an unstoppable and ultimately devastating force. Malik wishes to release the army himself in order to stop the invading forces from attacking his kingdom, but the Prince strongly objects by saying that Malik would not be able to handle the army and it could bear ill consequences. Malik does not heed the warning and breaks the seal holding Solomon’s army. As the power of Solomon corrupts Malik, the Prince must find a way to stop him. With the help of Razia, and ancient and powerful Djinn, the Prince has a chance. As he learns the truth about the army his brother has released he must use the powers that Razia bestows upon him to help his brother and save the kingdom. The Forgotten Sands, much like the other games in the Prince of Persia series, is an action-adventure platformer with hack and slash combat techniques. The Price is equipped with a sword which can either do simple slashing attacks or charged power attacks. As the game progresses the player is given the ability to use magical powers. These powers range from stone armor that protects the Prince in combat situations to a trail of flame that follows the Prince and damages enemies who touch it. These powers can be upgraded through experience points (XP) which is gained by defeating enemies. At certain points in the game Razia will give the Prince special abilities used in the platforming aspects of the game. These abilities include rewinding time when a mistake is made and control of water, allowing the player to freeze water in place giving the ability to run across it or grab it for a short period of time. This allows for the platforming that takes place throughout the game to be less monotonous and boring, giving the player new obstacles to overcome and creating a challenge. The Forgotten Sands has a very simple presentation style. Much like the previous games in the series the setting for the game is in a desert so sand is a major theme. The enemies you face throughout most of the game are made of sand as well, meaning that they break down into sand upon being defeated which is interesting. The game also features the inside of the palace and oasis-style gardens, so the scenery does change up throughout the game. The music and audio in the game is simplistic. The dialog is not the best, but it does the job of getting the story across and establishing characters. Voice acting is well done and believable. As the player traverses the game, the Prince will have things to say about the area or the situation which may be helpful to the player. A negative of the presentation is the camera angles imposed while platforming. When the players is meant to jump onto a ledge, for example, the camera angle with focus on that area. What makes this a negative aspect is that you cannot move the camera thus making it difficult to judge depth perception and where to go next. At times, this can be helpful giving the player insight on where to travel next, but it can also be a detriment. This game was a lot of fun, and because I bought it while it was $5.00 on Xbox Live it was a steal. I enjoyed playing it and learning more about the story. The combat made the game relatively easy, and there are many simple achievements and trophies for those of you out there interested in those. I had a few moments of frustration, mainly do to issues with platforming and camera angles. This is not the best game in the Prince of Persia series, but I would definitely recommend this game to fans of the series or people looking for a fun platformer to play. A hidden gem. I consider the 2nd reboot the best 1 of the pop games I played. Good review as always.